Isn’t it incredible that the famous children’s author Julia Donaldson visits our country and finds inspiration for a book here? Given South Africa’s beauty and the wonderful wildlife that call it home it’s hardly surprising though, but I find it amazing nonetheless. It makes me hope she will visit us again soon and be inspired again so we can add another proudly South African feather to our caps! The Grey Lourie is a plain grey bird who lives in the bushveld, savannah or riverine woodlands in Zululand, Angola and Tanzania. Although it may be dull in colour, this bird more than makes up for it with its distinctive call. If you hear the Grey Lourie calling you will immediately make out the remarkable go-away shriek. Not only does the bird’s call sound like it’s saying go-away, but it will also become highly vocal when disturbed thus alerting any nearby animals to avoid danger and go-away too. Despite their call they are actually quite social birds and can live in small groups and gather in larger groups of up to 60 birds to drink. Nature truly is remarkable. The Go-Away Bird is a beautiful new book from Julia Donaldson who has teamed up with illustrator Catherine Rayner this time. It’s an absolute must-have for your children’s bookshelf and one of my new favourite Donaldson titles too. From the first time we read it we fell in love with the avian characters and the story they tell, with the repetitive rhyme that Donaldson is famous for meaning my daughter could recite many lines of the story after just one reading. “The Go-Away bird sat up in her nest, With her fine grey wings and her fine grey crest.” She doesn’t want to be disturbed by the other birds who come to visit and want to be friends, she simply utters her refrain “Go away! Go away! Go away!” Again and again she grumpily chases them off, until that is a big brown bird spots her and isn’t put off by her cries of “Go away” but instead wants to get her. The story is one of friendship and working together, and the beautiful water colour illustrations with bright dashes of colour help to bring this picture book to life. 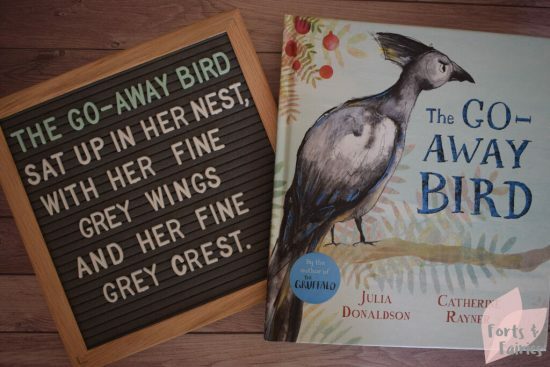 With stunning blue foil lettering and highlights on the bird’s feathers on the cover, this is one book you need to have on your bookshelf today! 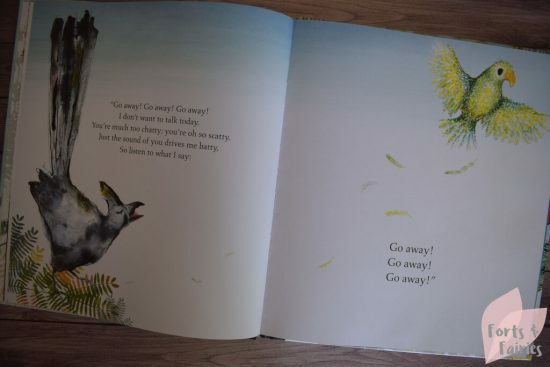 The Go-Away Bird is now available in hardback in book stores and online retailers for a recommended retail price of R195. 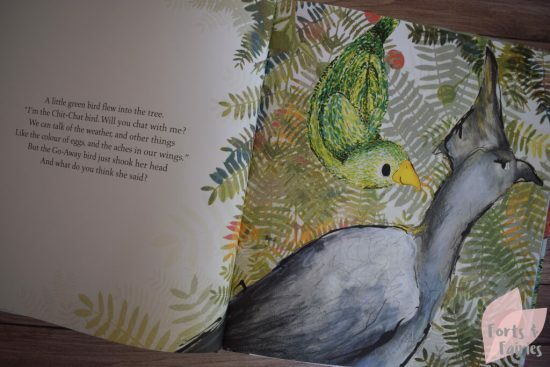 Thanks to Pan Macmillan for sharing this beautiful new story of The Go-Away Bird with us. Star Wars BB-8, this is the Droid you’re looking for!